On 20 March, a new day record for Short-toed Eagle was set in the vineyards of Bellet near Nice. No less than 923 Short-toed Eagles were counted after a period of heavy rain in Spain and southern France. SIGN THE PETITION — Chaffinches : not on my plate ! In November, more and more people enjoy the birds that visit their gardens. Many of us get immense pleasure and satisfaction from watching Robins, Chaffinches, Goldfinches, Greenfinches, … as they visit our bird feeders and bird tables. Sadly, that time of the year, poachers attract the very same birds with sunflowers near their houses in the south of the Landes, with the sole purpose to trap and kill them. Roasted garden birds end up on skewers or in various highly local culinary specialties. These birds are easily caught as the last autumn migrants often arrive exhausted after a journey of hundreds or thousands of miles. In France, all these species are protected by Law. Capture, destruction, transportation, possession, sale and purchase are strictly prohibited. Any person who contravenes these regulations is guilty of an offence and liable to a fine of 15 000 € or punishable by imprisonment for one year. The public authorities, however, do not take action to stop this cruel tradition from past centuries. - the effective application and full respect of current legislation, crucial to the conservation of these species. Sign the petition here: Chaffinches: not on my plate ! This is Bee-eater time in southern France. The main watchpoints for the species are roc de Conilhac / Gruissan-Narbonne (5605 inds. ), fort de la Revère (2396 inds.) and the valley of la Cerdagne-Eyne (2173 inds.). 9 September was a topday with 985 individuals over roc de Conilhac. The unusual observation of a flock of Bee-eaters in Lorraine is also worth mentioning: 38 inds. at colline de Sion, Meurthe-et-Moselle on 5 September. Bee-eaters often soar on migration. 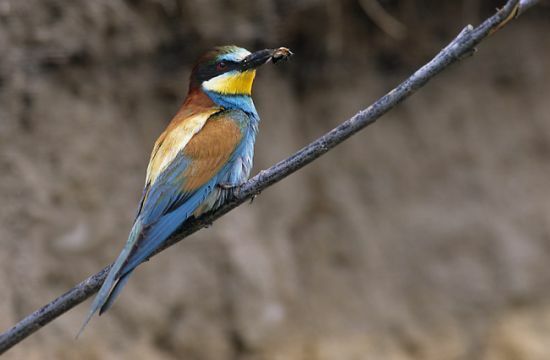 Small birds such as Bee-eaters should not soar but they do... and consume as little energy as when they are perched. A Blue-cheeked Bee-eater was seen on 8 September at roc de Conilhac. This is a new species for migraction.net and a rarity compared to 88,242 Bee-eaters since the start of the French migration counts. If its identification is accepted by the French Rarities Committee (CHN) then it would be the 8th record for France. The subspecies of the birds observed in France remains unknown (chrysocercus and/or nominate subspecies). going to be held in Spain in September 2010. Please find below the information about the course. field trips within the National Park. and Doñana National Park, accommodation and meals during the course. On 8-9 May 2010 thousands of people around the world will be attending World Migratory Bird Day (WMBD) events which will celebrate bird migration and highlight migratory birds in crisis. Events to mark World Migratory Bird Day will include bird festivals, educational programmes, presentations and birdwatching trips organised by hundreds of dedicated groups and organisations around the world. An international photo competition – The World's Rarest Bird Photo Competition is also linked to WMBD this year and is focusing on the world's most threatened birds. “Save migratory birds in crisis – every species counts!” - is this year's central WMBD theme and aims to raise awareness about globally threatened migratory birds, with a particular focus on those birds on the very edge of extinction - the Critically Endangered. (AEWA) and initiator of the World Migratory Bird Day campaign. "By focusing on migratory birds in crisis during the International Year of Biodiversity, World Migratory Bird Day 2010 is highlighting the role played by birds as indicators, enabling us to see the negative effects our current way of life is having on the planet and its biodiversity", added Mr Lenten. As one of the best researched taxa, birds serve as vital indicators for the state of biodiversity and the biological health of the ecosystems they inhabit. If a bird species becomes threatened with extinction it is often a clear sign that the conditions of the required habitats have changed and that other species dependent on them may also be affected. 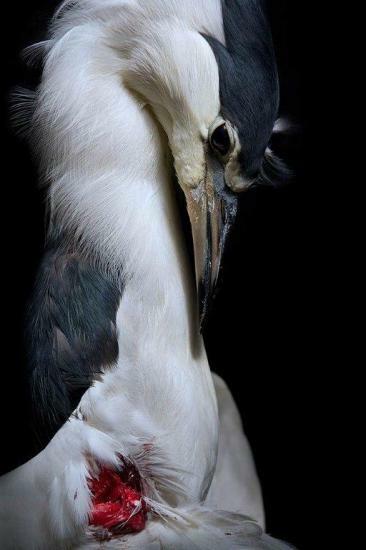 A staggering 1,227 or 12.4% of the total 9,865 extant bird species in the world are currently classified as globally threatened and 192 of these are considered Critically Endangered. An estimated 19% of all known birds are considered to be migratory, of which 11% are Globally Threatened or Near Threatened and 31 are classified as Critically Endangered according to BirdLife International on behalf of the IUCN Red List. "World Migratory Bird Day is an opportunity to draw international attention to migratory birds around a central theme each year. The focus on the most threatened migratory birds in 2010 acts as yet another reminder to governments that more needs to be done internationally to conserve these species across their migratory ranges", says Elizabeth Maruma Mrema - Executive Secretary of the Convention on Migratory Species (CMS), a UNEP administered wildlife treaty. Critically Endangered bird species are found throughout the world in all countries and territories, with most countries supporting at least one species with this highest risk category assigned by the IUCN. “International collaboration is the only way to conserve migratory birds as they pass along their flyways”, said Dr Marco Lambertini – BirdLife’s Chief Executive. “That's why the BirdLife Partnership, with over 100 national organisations across the continents, can make a great difference in providing safer routes for migratory birds, as well as promoting the crucial inter-governmental co-ordinated efforts needed to address the growing threats along the flyways”. Some prominent examples of “migratory birds in crisis” being highlighted in the context of this year’s WMBD campaign include the Slender-billed Curlew (Numenius tenuirostris), the Northern Bald Ibis (Geronticus eremita), the Sociable Lapwing (Vanellus gregarius), the Waved Albatross (Phoebastria irrorata) and the Orange-bellied Parrot (Neophema chrysogaster) – all of which are migratory and listed as Critically Endangered. These birds face a range of mainly human-driven threats, of which agriculture and invasive alien species are the most important. Hunting and trapping, logging, urbanization, pollution and fisheries are also significant threats, with climate change increasingly becoming a factor. “It is time we listen properly to what the birds are telling us about the current state of our environment. Without immediate conservation action, there is a risk that the state of the world’s biodiversity will continue to get worse and that as a result some migratory bird species, including some that fall under international wildlife treaties such as AEWA might become extinct” says Mr Lenten. (AEWA) and the Convention on Migratory Species (CMS) – two international wildlife treaties administered by the United Nations Environment Programme (UNEP). The WMBD 2010 campaign has also received support from the following partners: UNEP, The International Year of Biodiversity (IYB), BirdLife International, Wetlands International, The Partnership for the East Asian - Australasian Flyway (EAAFP) and The World’s Rarest Project. The WMBD campaign is made possible through part of the voluntary contribution given to the AEWA Secretariat by the German Federal Ministry for the Environment, Nature Conservation and Nuclear Safety. As of 6 May 2010 over 70 separate events in more than 40 countries have been registered on the campaign website. WMBD events will be celebrated in: Argentina, Australia, Austria, Bangladesh, Benin, Botswana, Burundi, Cameroon, Canada, Chile, Colombia, Croatia, Egypt, France, Germany, Hong Kong SAR (China), India, Indonesia, Israel, Italy, Ivory Coast, Kenya, ,Madagascar, Malaysia, Mongolia, Nepal, Pakistan, Puerto Rico, South Africa, Spain, the former Yugoslav Republic of Macedonia, Tunisia, Turkey, Uganda, the United States of America and Zimbabwe. World Migratory Bird Day 2010 has teamed up with this year's World's Rarest Bird Photo Competition covering the world's most threatened birds and has included an additional prize for the best photo of one of the 31 Critically Endangered birds that are migratory. Photos submitted to the international photo competition will be featured in a landmark publication – The World’s Rarest Birds – which will support international conservation efforts and help fundraise for BirdLife International’s Preventing Extinctions Programme. Contributors to the photo competition, whose images are published will receive a free copy of the book and also have a chance of winning a number of attractive prizes. In Europe and Africa, wild birds and their habitats are protected through the efforts of conservation organisations and governments that are spending millions of Euros to ensure their future. These same birds migrate from Europe to Africa every autumn, travelling thousands of kilometres to spend the winter in warmer climates. Every spring, they migrate back to Europe to breed and replenish their numbers. During each journey, the migratory birds are in peril as they fly over Malta, where they continue to be gunned down. Every year, protected species are killed; every spring and every autumn. Law enforcement is under resourced and unable to control the scale of illegal hunting. There are nearly 15,000 hunters and bird trappers on the small island. Whereas spring hunting is not permitted under the EU Birds Directive because this is the breeding season and a chance for birds to replenish their numbers, Malta has opened the spring hunting season every year since it joined the EU in 2004. Over the last years, BirdLife Malta has been instrumental in ensuring that Malta strengthens its bird protection laws through its public and advocacy campaigns. Spring hunting was not allowed in 2008 and 2009 thanks to an interim measure issued by the European Court of Justice (ECJ). Last year, the ECJ found that Malta had been in breach of European law for allowing spring hunting (of turtle dove and quail) without meeting the conditions of derogation since it became a member state. In spite of this, the Maltese government is still considering opening what it calls a “limited spring hunting season” in 2010. The government also continues to undermine the true scale and seriousness of illegal hunting. BirdLife Malta, LPO (BirdLife France) and BirdLife International partnership are determined to ensure that the advances made are not reversed. Unless we protect the migratory ‘flyways’ over the Mediterranean, conservation efforts in Europe and Africa are in vain. This is because170 bird species regularly migrate over Malta. When they reach Malta, these birds are at their weakest. Many will try to rest on Malta and feed to build up their strength for the last leg of their journey. Instead, many meet their death. Last September, volunteers from BirdLife Malta and another bird conservation group (CABS) found the remains of over 200 protected birds buried in a woodland used as hunting grounds. The remains included marsh harriers, honey-buzzards and night herons among other protected species. And this case is only one example that reflects the true scale of the illegal killing of protected birds in Malta. BirdLife Malta is a small organisation that is on the front line against the aggressive hunting lobby. Their staff and volunteers have suffered intimidation, criminal damage, arson attacks and violence. A BirdLife Ranger has been shot at and injured twice over the last two years. BirdLife Malta does not give up and continues to work under very difficult circumstances – so we should also not give up and continue supporting our partner in Malta. Do not bring renewed shame on Malta! We urge you not to harm EU nature conservation laws for a few votes from the hunting minority. We urge you to comply with EU law through Maltese legislation. We urge you to ensure all hunting legislation is fully enforced. We urge you never to allow spring shooting or trapping of Turtle Dove and Quail again. The European Commission has called on the European Court of Justice to issue an injunction against Italy to prevent the hunting of protected bird species in the Lombardy region. Court action is already pending against a number of regions, including Lombardy, for the practice of allowing hunting derogations which do not comply with the strict conditions laid down in EU law. However, the Commission has decided to take urgent action after Lombardy passed new legislation which allows the hunting of four protected species until 31 December 2009. EU Environment Commissioner Stavros Dimas said member sates had to follow the correct rules for the conservation of bird species to help prevent biodiversity loss. "EU nature legislation allows for derogations for a limited number of reasons, although these exceptions are only possible when there is no alternative solution and strict conditions are met." The European Commission said a number of regions have for many years adopted and continue to adopt legislation and derogations permitting the hunting of birds in breach of the Birds Directive. The regions concerned are: Abruzzo, Lazio, Lombardy, Emilia Romagna, Marche, Calabria, Apulia and Tuscany. It said the Lombardy region recently passed new legislation which allows the hunting of four protected species - Chaffinch ( Fringilla coelebs), Brambling (Fringilla montifringilla), Meadow pipit (Anthus pratensis) and Hawfinch (Coccothraustes coccothraustes). The injunction was requested in order to stop that legislation. The Commission said this was only the fourth time that such an injunction had been sought, with previous cases concerning a law permitting the spring hunting of birds in Malta in April 2008, the proposed construction of a road through the Rospuda river valley in Poland in March 2007,and hunting derogations in breach of the Birds Directive for the region of Liguria, Italy, in December 2006. October is usually an interesting month for bird migration. The most numerous species on migraction.net between 1st and 18th October are Chaffinch (356 562 inds. - 33,8%) and Woodpigeon (238 446 inds. - 22,6%). Mind that important numbers of pigeons are not identifified at species level (no less than 11,2% of all migratory birds were unidentified pigeons - 117 782 inds.). Some interesting totals include 289 Balearic Shearwaters, 6641 Red Kites, 16437 Brent Geese and 33258 Cranes. Several rarities were reported at the various migration watchpoints: 1 Black Brant at Cap Gris-Nez (11/10), 1 Pallid Harrier at Fort de la Revère (16/10), 1 Long-legged Buzzard at Pagny-sur-Meuse (8/10), 1 Red-footed Falcon at Fort de la Revère (3/10), 1 Olive-backed Pipit at Carolles (15/10), 5 Richard's Pipits and 1 Rustic Bunting at Cap Ferret (13/10). We would like to remind you that the international conference on the Red Kite will take place on next October 17th and 18th, in Montbéliard (France). We keenly hope you will be numerous to come to this meeting and consequently invite you to register as soon as possible (by sending back the enclosed registration form together with your payment) with the LPO Franche-Comté (Maison de l’Environment, 7 rue Voirin, 25 000 Besançon, France ; filippa.de-oliveira@lpo.fr; + 33 (0)3 81 50 43 10). The registrations will be closed by September 30th. Though the program is already well filled we wish to advise you at last that it is still possible (until September 20th) to propose interventions, and even posters, in priority for countries having not yet proposed any subject (useful contact : Fabienne David, LPO Mission Rapaces, 62 rue Bargue, 75015 Paris France ; fabienne.david@lpo.fr; + 33 (0) 1 53 58 58 38). Wishing keenly to meet you at this international conference.